My AP US History teacher was perhaps . . . not the best person to prepare us for the exam. I knew there was a problem when 1st quarter ended and we were STILL in the colonial period. I lived in Virginia, but come on! The other APUSH teachers assigned a document-based question (DBQ) writing assignment each week, but we never had one. Ever. At the time, the DBQ was the major essay in the exam. By the spring, I knew that I was on my own. I read the rest of the textbook (cause we were waaaaaay behind) and I took an elective on Multicultural US History. And my studying paid off because I earned a 5 on the exam, the highest score possible. 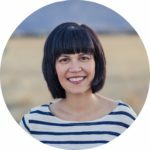 When I finally started teaching and tutoring AP courses myself, I was determined to learn from my experience and ensure that my students were ready for the exam. But that doesn’t always happen. 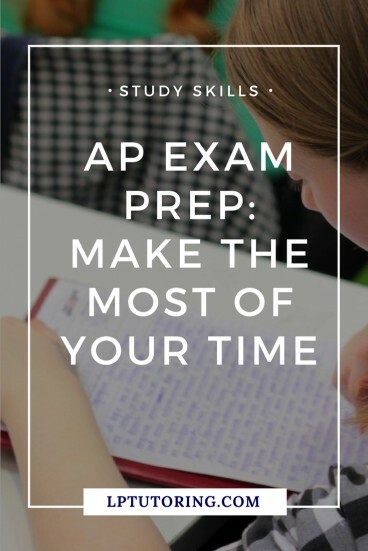 If your situation is similar to my high school one or if you just want to increase your score, here are some ways to prepare for any AP exam! This the time to find all the resources that can help you prepare! If you haven’t, get a review book. There are a bajillion on Amazon to pick from. Does your teacher offer review sessions? If so, GO! Find your textbook under your bed and organize your notes. Khan Academy now offers AP Exam content and practice for some AP exams. Read my review of the US History and World History offerings and then head over. Even if Khan doesn’t have review for your exam yet, the regular course content is still useful. If you really want to do well and need some more help, consider a private tutor. If you’re taking AP US or World History or US Government & Politics, I would love to help! You can schedule a FREE 30-minute tutoring session here. I’ve also created resource guides for AP US History, AP World History, AP US Government & Politics, and AP Human Geography. 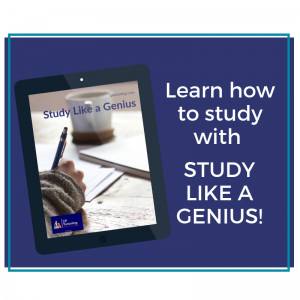 They have study and test tips, plus specific resources for each exam – review books, lectures, videos, and tips on essays. You can grab yours for FREE (’cause I like you!) by clicking below! What do you know and what don’t you know? To create a realistic study plan (see below), you need to know what information to spend a lot of time reviewing and what units you can speed through. Use the College Board Course Guide as, well, a guide, and evaluate how well you know each major topic. A study plan is a very specific study calendar. For each day you study, you will fill in the time and specific topic you will study. The more specific you are, the more likely you are to actually complete the studying. You need your planner or blank calendar and the evaluation you did above. If you’re taking the 2018 AP US History exam, you are in luck my friends! I’ve already created one for you! Just click on the box below to sign up and download that baby for FREE! This is the ultimate way to crowdsource your AP review. Find 3-4 committed students to meet regularly and review for the exam. Use the study plan you created or make one with the group. Not sold on a study group? Read this. For tips on keeping your study group focused, check this out. Each AP exam has some written component, whether they are essays, short answer questions, or DBQs. You need to be familiar with each type that is on your exam and their rubrics. Find past questions on the College Board website and practice writing them. This is a great activity for a study group as well! Knowledge will sometimes only get you so far; strategy will help as well. How do you narrow down multiple-choice options? What if you’re running out of time? What if you have no idea what the answer is?? For more on test strategy, check out my favorite tips! Let me know how the studying goes in the comments below.